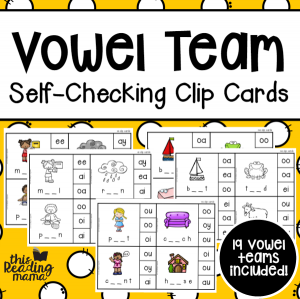 These clip cards get kids reading and thinking about the spellings of words with vowel teams. 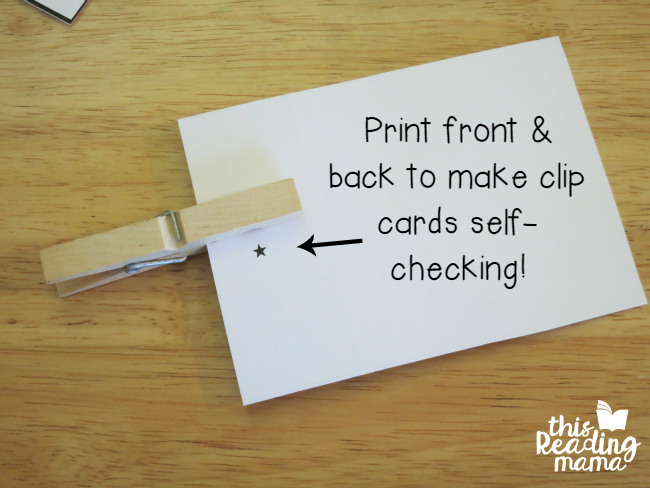 Print front and back and you’ll have self-checking cards that are great for small groups, individual review, or a center! 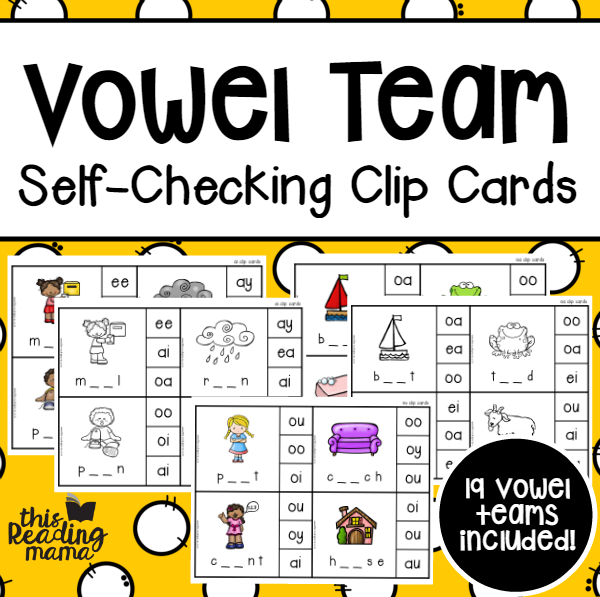 Just print them front and back to make them self-checking, which makes them PERFECT for independent work or a center! You can even extend the activity by asking students to write down or sort the words as they spell and clip them.